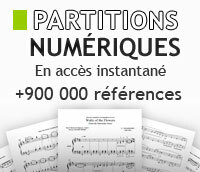 Voici un ouvrage de Formation Musicale destiné à la 2e année du 1er cycle. Charritat Marie-Alice : Bonjour Madame Musique ! By Barbara Wharram. Theory. Basic, Intermediate, and Advanced Rudiments. Level: Preliminary, Grades 1 and 2 Rudiments. Book. 304 pages. Published by The Frederick Harris Music Company. By Mark Sarnecki. Theory. Basic, Intermediate, and Advanced Rudiments. Level: Preliminary, Grades 1 and 2 Rudiments. Book. 264 pages. Published by The Frederick Harris Music Company. By Morris and Ferguson. For Book (Paper). Published by Oxford University Press.